I am out at Flagler Beach with Marianne and our two dog. The room is pretty small and Boomer the 1 year old puppy thinks being on the floor equals play time. So I decided to take day 4. I have taken 2 days off for being sick, 1 day for travel, but never a day because I just wanted to. So I am practicing this today. 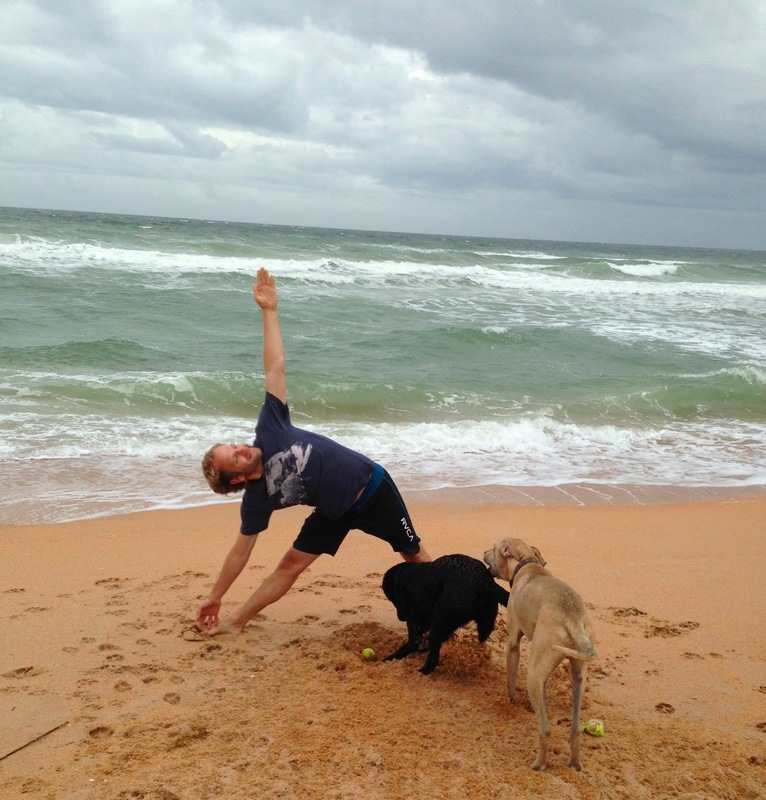 As you can see above doing yoga on the beach with two dogs is not easy, but it is a lot of fun to take the day off and have fun. I am playing hookey and going to take a break from yoga and blogging today. Switch things up today. I will continue tomorrow.